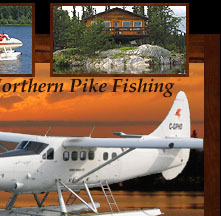 Northern Saskatchewan is one of the top fly in destinations in Canada for northern pike and walleye fishing. Your vacation starts at Otter Lake where you will board a float plane (Osprey Wings Ltd) for a brief flight to your destination. Our cabins are clean and comfortable, our guides are experienced and our boats and motors are reliable. We have meals available upon request or you can do your meals in your own Light housekeeping cabin. Besides fishing Pine island has access to scenic sites, waterfalls, rock paintings, berry picking and possible wildlife sightings. 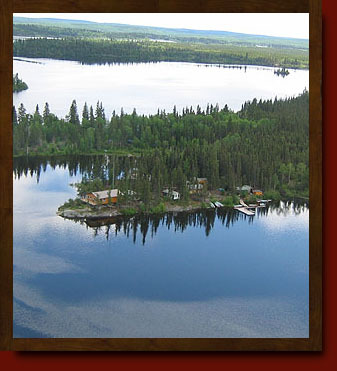 If you are in search of a fishing holiday, please consider pine Island resort. Pine Island resort supports sportsmanship fishing and supports the use of barbless hooks. Catch and release is preferred but not enforced.